Whether you’re looking to open an online store from scratch, or take your current site to the next level, a powerful platform is crucial. You’re probably familiar with some of the best Ecommerce builders out there, with 3dcart being one of the more popular choices. 3dcart is known for offering a simple solution to handle Ecommerce needs, from managing inventory, to processing payments and shipping. With powerful marketing tools and themes, it helps users increase conversion rates, enabling the success of their store. The company is continually improving and launching new features and versions such as the latest update, Version 8, which 3dcart’s CEO has called “one of the biggest software updates in the history” of the company. Version 8 has many new enhancements, bringing users even more tools to propel their online businesses forward. These updates include more integration options, modules and a new template engine. These are 3 of the biggest additions Version 8 has to offer sellers. Payments are a critical part of any store, be it physical or online, and handling them must be quick, simple and seamless. 3dcart understands the need to offer options that will satisfy its global wide user base, and answers these requests by expanding the platform’s set of fully-integrated payment gateways. Currently, collecting payments is simple for sellers, with pre-installed integrations of several of the most popular payment solutions out there such as Stripe, Square, Amazon Payments and PayPal. Version 8 goes one step further by expanding this repertoire of integrated payment providers, giving sellers options including zipPay, CenPOS and Worldpay. Additionally, the company has added Apple Pay to its list of digital wallets that currently includes Visa Checkout, Amazon Pay, and Masterpass. The added providers make it easier for sellers to accept payments from anywhere and anyone. As a company offering everything needed for a successful online store, 3dcart places strong emphasis on SEO and is known to be one of the more SEO-friendly sites out there. Practically speaking, the higher a seller is ranked by search engines, the more their traffic will increase, which should result in more sales. 3dcart helps sellers ensure that every part of their site is fully optimized to maximize their ROI. Whether taking a hands-on approach using dynamic meta tags, custom URLs and link titles, or taking a more hands-off approach, utilizing 3dcart’s team of PPC and SEO experts, 3dcart acknowledges that SEO is of the utmost importance, and endeavors to ensure that your site is the strongest in this area. Further benefits for users with the latest update, is the brand new Core Template Engine, that includes Google's recommendations and the latest industry standards. It takes all SEO standards, mobile optimization, and PageSpeed considerations into account. The new and improved template engine will help users see better layouts, faster page load speeds and results. 3dcart takes your product URLs and structures them with a keen eye towards SEO optimization and a better visitor experience. By using canonical URLs, 3dcart helps you avoid the sort of SWEO penalties that can arise from having too many overly-similar pages on your site. You can also boost your SEO on 3dcart by using easily customizable meta tags as well as automatically-generated title attributes for links. 3dcart is also up to date on the importance of XML sitemap when it comes to helping search engines index your site. One of the biggest considerations before purchasing a service is, of course, pricing. 3dcart’s pricing ranges from the Startup tier to the Enterprise tier. Startup, which costs $19 per month, offers all the essential features of opening and running a store and allows access that is limited to a single user. At $79 per month, Plus is catered towards small to medium sized businesses and allows access for up to 5 users. Pro costs almost triple the price, but also allows for up to 15 users. The Enterprise tier, which is company-specific, is for the serious players selling over $400k online a year, and offers access to an unlimited amount of users. It also starts at about $799/month, so it’s really only a viable option for people who need that sort of horsepower for their site. All of the packages contain most of the standard, powerful features, with the big difference being CRM and advanced marketing tools that are not offered with the entry-level packages. With so many available options out there, let’s compare 3dcart against 2 leading competitors - Volusion and WooCommerce. Taking these key factors into consideration when choosing an Ecommerce builder can make or break an online store. Marketing and SEO, pricing options, shipping services and more all play a part when selling, and ensure a positive sale with a happy customer on the other end. 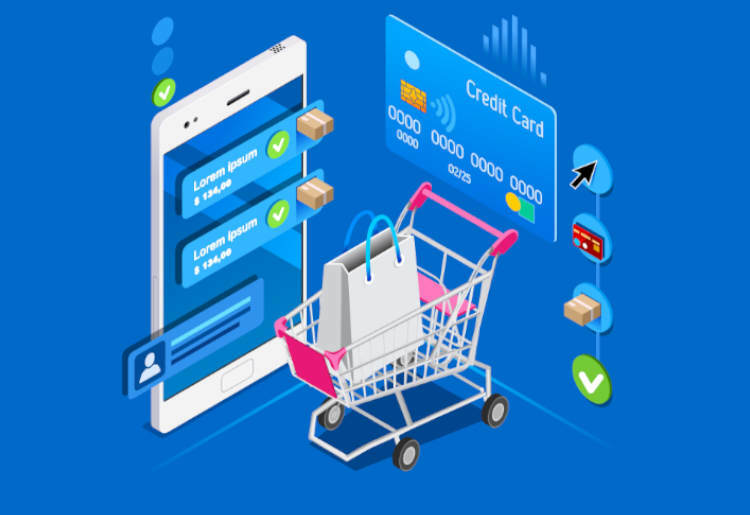 Ultimately, researching the available options and determining which is best suited for your needs will ultimately determine the success of your Ecommerce business.